The Huntsman Program not only offers a unique education integrating language, the liberal arts, and business, but students also enjoy the benefits of a small, supportive community that many describe as a “home away from home” and a large, vibrant Ivy-League university full of opportunities at their fingertips. Students often say the sense of community within the program, beginning with the living/learning community in the first year, is one of the most beneficial aspects of the program. All Huntsman freshmen live together on the third floor of Kings Court/English College House, where they develop lifelong bonds between students from diverse backgrounds, in an environment that encourages them to practice their intercultural and linguistic skills on a daily basis. 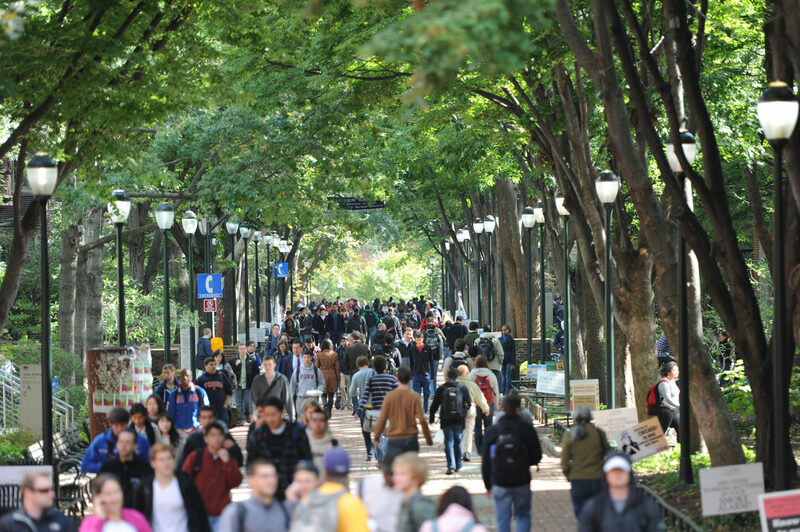 Earn two degrees, and have access to an unparalleled community of alumni, faculty, and staff administrators who are there to help support you through your time at Penn and beyond. 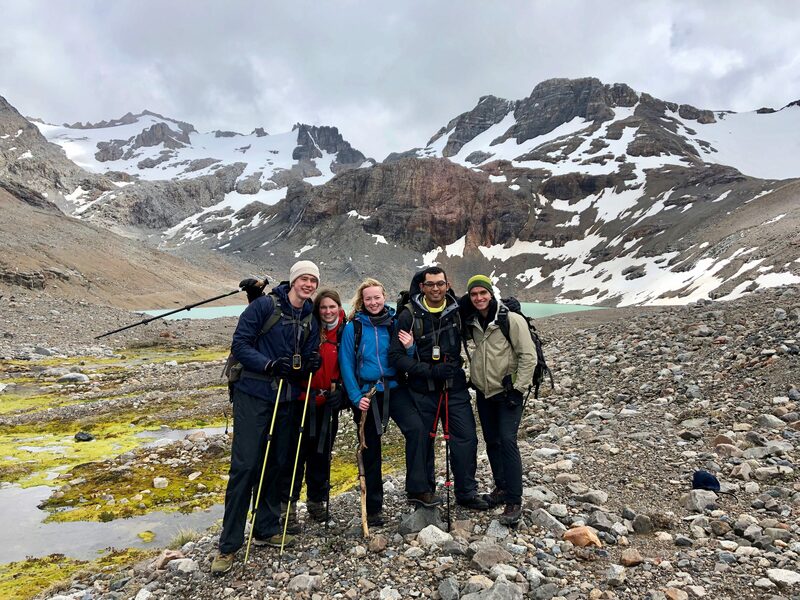 During the required Study Abroad semester, students gain global awareness as they live abroad for a semester and apply their advanced language and area studies training to real life and classroom settings. During their freshman year all Huntsman Students live together in Kings Court College House. This affords Huntsman Students the unique opportunity to be surrounded by a rich diversity of languages and nationalities, challenging them to practice their intercultural and linguistic skills on a daily basis. 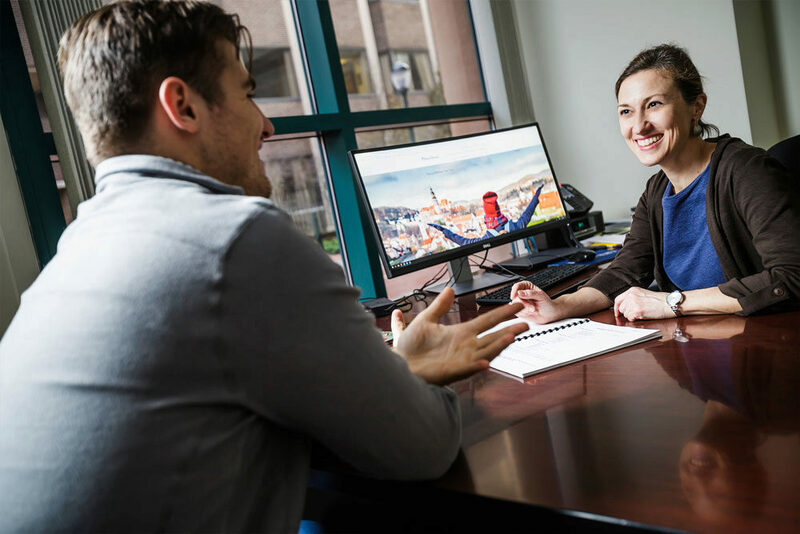 With dedicated academic advisors who work only with Huntsman Students, you have access to the many resources of a large research University while also enjoying the benefits of a small close-knit community. Huntsman students have access to faculty and staff dedicated specifically to the program. Two Faculty Directors represent both the Wharton School and the College of Arts and Sciences. Program staff provide specialized academic advising to Huntsman students as they work to fulfill all curriculum requirements associated with their dual degrees.